We are a family run business and as such we offer personal attention to each and every customer from the time the query is placed, to the eventual job completion. SUNDER CRANES is an ISO 9001:2008 certified company. 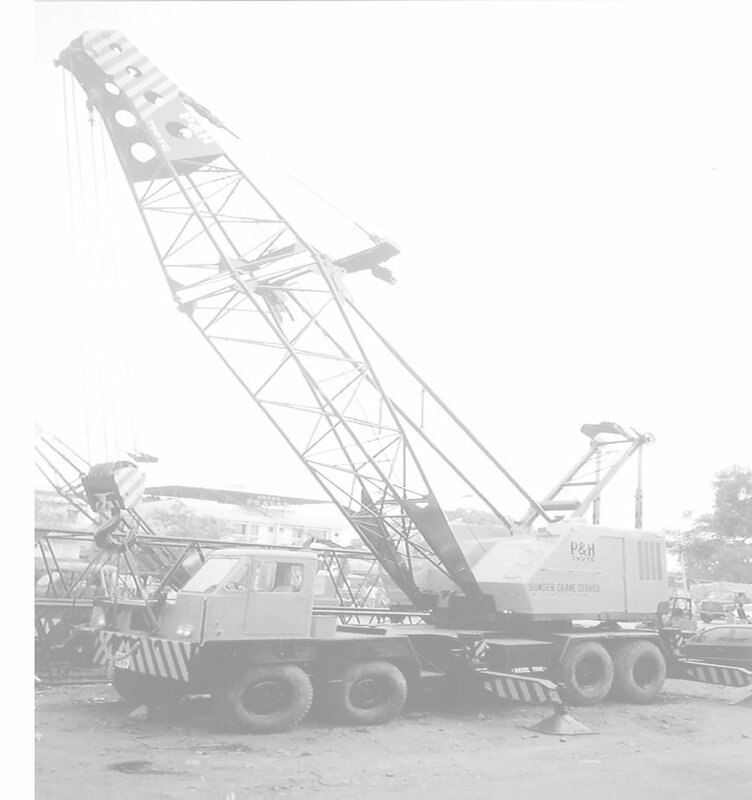 The company owns Mobile Cranes / Crawler Cranes / Man Lifts / Trailors / Hydraulic Multi Axles / Firrana / Hydra / Forklifts, having capacity from 3 MTons to 700 MTons manufactured by reputed makes like Terex-Demag, Liebherr, Manitowoc, Grove, Krupp. Gottwald, Kato, Pinguely, ACE, Escorts & Voltas. The company has the workshop on NH-8 Highway just 7 Km from Dahisar check naka, which is well equipped with all kinds of machinery and spare parts in stock to take care of any break down problems. SUNDER CRANES prides itself on total commitment to Safety, Reliability & Quality of service. ATLANTA INFRATRUCTURE LTD. BHARATI SHIPYARD LTD. CENTRAL RAILWAYS. CABLE CORPORATION LTD. DELIGENT MEDIA CORPORATION LTD. (DNA) DOLPHIN OFFSORE LTD. ESSEL WORLD. E-CITY ENTERAINTMENT LTD. HINDUSTAN LEVERS LTD. RELAINCE INDUSTRIES LTD. WESTERN RAILWAYS.